Pascal is a French Chef who after years of traveling around the world finally found a home in Western Maryland. He found in this gorgeous Victorian mansion (The Deer Park Inn) all the history he left in France. His cooking is influenced a lot by his travels, however if he had to name it, he would call it French cuisine with American Influence. 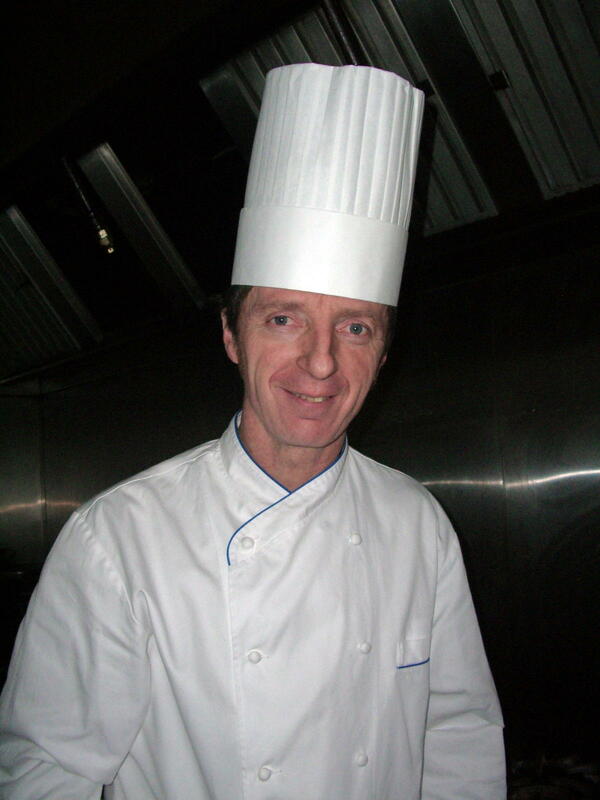 Pascal was formerly Executive Chef of a large Hotel (over 400 rooms ) in Washington D.C. It sounds crazy to leave a fully equipped kitchen with a staff of 30 cooks, but in today’s world, Executive Chefs are doing less and less cooking, this is one of the reason why he moved to the Deer Park Inn. Here, by love and by necessity everything has to be made in house, from his Multi Grain Bread, to the delightful Chocolate Pate, going thru his confit of Canard. He is using as many local products as possible, and after a few years, he is finally able to get local farmers to grow the vegetables he needs for his cooking The season in the Deep Creek Lake area is very short however it is plentiful. Corn, Squash, Tomatoes, Beets, Peaches, and many other fresh fruits and vegetables are grown for The Deer Park Inn.. Then it is time to work like before, respecting the seasons , here we are not eating berries that was harvested a couple weeks ago, 5,000 miles away or from another Country ,we believe in local farming and we care very much about the environment , it is a lot of work but it is very rewarding,and we have that responsability. ALL OUR DISHES ARE MADE FROM SCRATCH IN OUR KITCHEN . Sandy is French also, she has the ability to adjust to any situation, she was an Hairstylist in Paris, she was a Painter in Bermuda, she taught pottery and Stained Glass in Washington area, now she joggles between the Books, the Kitchen and the Dinning Room. She is the fairy of The Deer Park Inn.Her knack of being very creative is challenged everyday, her smile and her warmness make the most difficult guests at ease right away. She is the really true artist of The Deer Park Inn.